Stainless dome lights update and out-class the previous black plastic are installed in both the Master and VIP showers. The lights are from IMTRA. 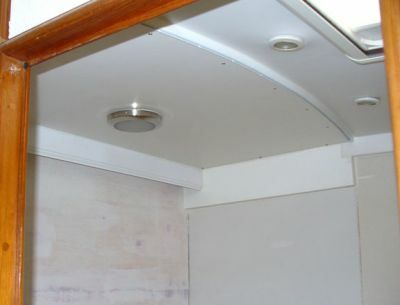 120v rope lighting is mounted behind the valance and will light the design to be installed on the back wall.